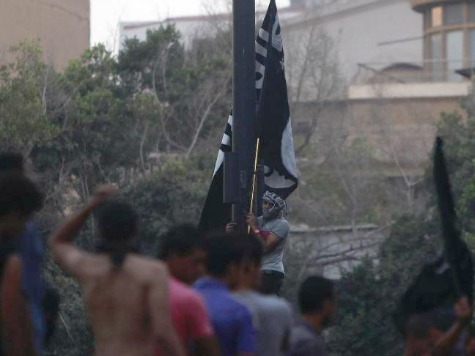 Egyptian Islamists protesting a film they found disrespectful to Mohammed raised the flag of terror group Al-Qaeda over the U.S. embassy in Cairo Tuesday. Further confirmation of the design comes from a May 2012 report from Breitbart News. 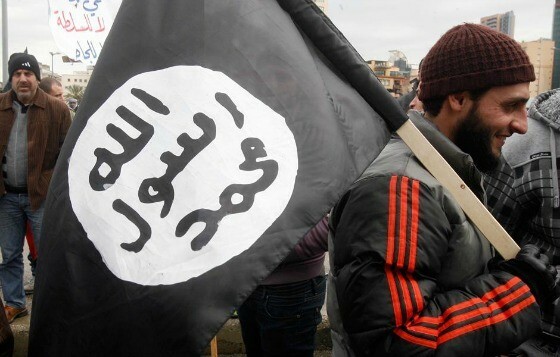 Tuesday morning, Breitbart News’ Editor-at-Large Ben Shapiro declared the spirit and mission of Osama bin Laden was still alive, “forwarded in large measure by the sympathetic policies of Barack Obama.” The triumphant display of the Al-Qaeda flag, the symbol of bin Laden’s terrorist organization, over the embassy of the United States — and on the anniversary of 9/11 — is a chilling, prophetic fulfillment of that assertion.